Why trek around Mt. Gongga? The Mt. 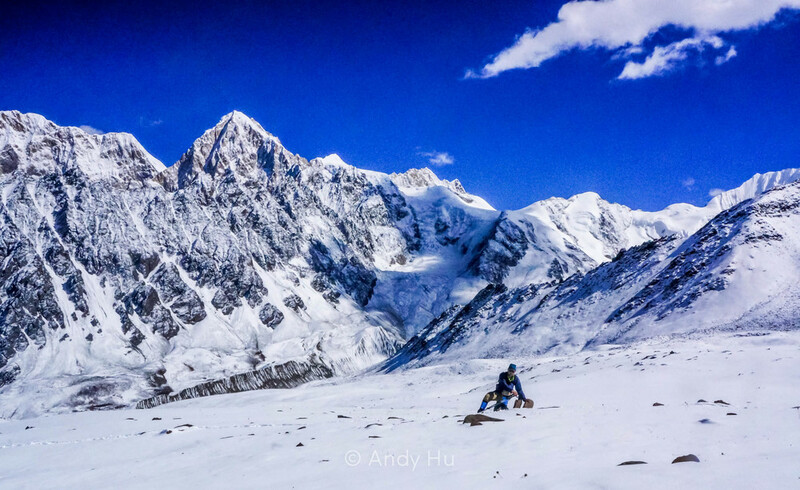 Gongga (Minya Konka) Kora is one of the best treks in China and a truly incredible experience. A kora is a buddhist pilgrimage around a holy site. In the span of 4-5 days, follow an icy river through majestic snow-capped peaks, winter grazing land for yak herds, and tiny villages hidden in dense forests to complete a kora around Mt. Gongga, one of the holiest mountains in the region towering at 23,000 ft. A well-timed trek would provide ample opportunity for being alone with nature. 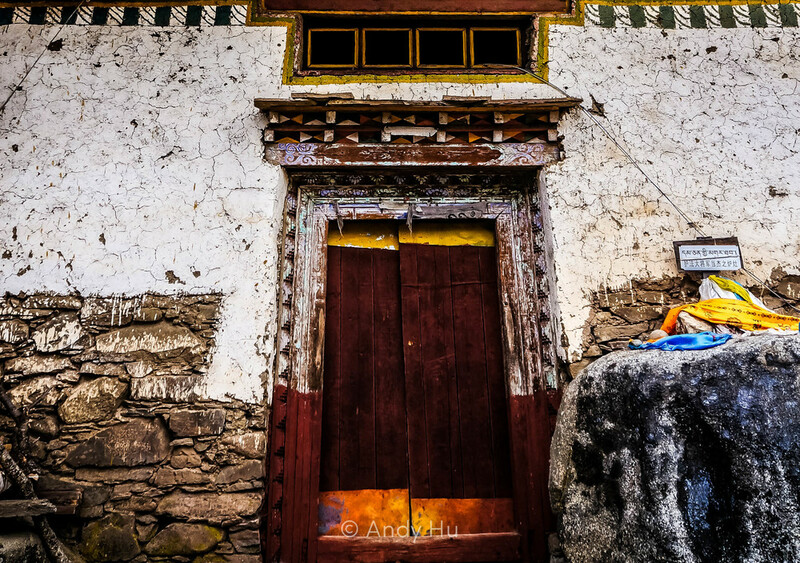 Learn and experience Tibetan culture by living with locals in Zimei village, and by visiting the 800-year-old Tibetan Buddhist Old Gongga Monastery. Stay at the Monastery if you wish, and bathe in the glory of the Daxue Shan range at sunrise. 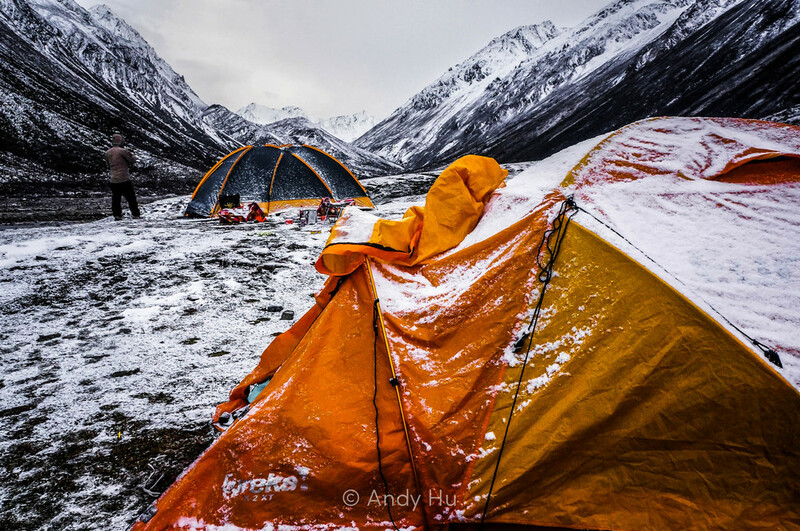 This is a 4-day point-to-point trek in western Sichuan Province, China. The trek is relatively difficult and requires moderate to advanced fitness level and experience with high-altitude trekking. 3-4 days for acclimatization is recommended. The trek ends in a local Tibetan village offering hostel-type accommodations and transport services around the region and back to Kangding. This is not a circuit route. The trek was completed from 10/24-27 with heavy snow only on the 24th. We started off a party of 3 and rented 4 horses, tended by 1 local guide. This guide is written based on my personal experience completing this trek in one occasion. It is meant to provide the reader with an account of the trek from one trekker’s perspective. However circumstances may differ. Please use the information provided as that of a rough guide. Day 1: Chengdu (成都) - Kangding (康定), bus 8-10hrs: from Chengdu, take a bus to Kangding for economic option (140 RMB each way). The trip takes 8-10 hrs depending on road conditions. The bus will stop for lunch at a roadside stall at some point where you can purchase horrible street food or instant ramen. Or, bring your own. Day 2: Kangding - Laoyulin/electric station (老榆林电站), taxi 1hr: it's very easy to find a taxi to Laoyulin, book one with the hostel, your guide, travel agency, or find one by the side of the road, the trip takes 40-60 mins and costs ~200 RMB to fill the car. We spent the night in the village near Laoyulin, prepping gear. Day 3: Laoyulin - Lower Riwoche (下日乌且), trek: the owner of our guesthouse drove us to the trail head in 30 mins. The trail is relatively clearly marked, just follow the hoof marks. We passed by a dry river of orange boulders. Our guide and horses left later in the morning and caught up with us around lunch time, although we found ourselves on opposite banks of the river. We crossed ~1pm to the left (east) side of the river, when it started snowing heavily. Our guide was concerned that Upper Riwoche would be too cold and the snow too thick for camping, so we set up camp at Lower Riwoche, a closer destination at lower altitude (1-2 hrs hike from Upper Riwoche). Higher altitude = lower temperature = more snow. Weather started clearing at night. Day 4: Lower Riwoche - Moxigouwei Campsite (莫西沟尾营地), trek: left at 9:30 for the hardest day of the trek, we followed the river for 90 mins to Upper Riwoche (flat grassland marked by stone circles for campfires), making up for the time lost yesterday. We began the actual ascent towards the pass at 11:00 and reached the pass at 15:00. The trail became hard to follow in the late afternoon and several of us got lost. Our guide had set up camp ~30 meters uphill from the river, where there were several roofless stone houses. Although its fine to camp by the river since we continued to follow the river the next day. Day 5: Moxigouwei Campsite - Yak winter grazing site (冬季牧场), trek: the most relaxing day of the trek, the path took us through rolling hills, with sections of steeper ascents that always manage to flatten out. We walked with the river to our left in the morning, but crossed to the other side around noon. Be sure to look for the bridge crossing (narrow wooden bridge marked by flags) amongst a field of rocks. In peak season, the builder of the bridge collects a fee of 10 RMB/person for crossing the bridge. There are also abandoned shacks near the crossing. The trail on the right side of the river ends soon after this crossing. The river was shallow enough for two backpackers to cross through the water barefoot, but beware of the strong current. Day 6: Yak winter grazing site -Upper Zimei Village (上子梅村), trek: left at 8:30 since we needed to cover the most distance today. The trail is narrow and is carved into the sides of lush mountains, snaking through dense forests with occasional vistas of the river and surrounding mountains. The environment is completely different from previous days. The weather is warmer, sight of snow is rare, although the trail can get muddy. After endless ups and downs and numerous shaky log bridge crossings, we arrived at "the crossroad" at 13:30. This important intersection is marked by a small tin shack with a bench in front. Left trail took me to Old Gongga Monastery after a 30 min ascent. The Monastery is 800 years old and is occupied by 2 lamas and their baby Tibetan antelope. The vista is amazing and you are welcomed to stay (wooden bed without sheets or pillow) for 10 RMB/person/night. Only food available is instant noodles...also priced at 10 RMB/bowl. I returned the same way to the intersection in the woods, and took a right toward the Zimei villages. The villages are split into Upper (上子梅) and Lower (下子梅), the trail splits after a while and is clearly marked. It took us another 90mins to get to Upper Zimei Village. Lower Zimei also has accommodation, but Upper is a closer option if you plan to head to Zimei Pass the next day. There are only 3 houses here and all 3 take visitors. We stayed in the first house, which offers dorm beds and private doubles (free for all in shoulder season), including breakfast and dinner for ~30 RMB/person/day. Meals are basic and they don't offer lunch unless you do something special. Day 7: Upper Zimei Village - Bawang Lake (巴望海) - Zimei Village, taxi 1hr/ way: the owner of our "guesthouse" is also a "taxi driver". He took us to Bawang lake for free since I voluntary helped out with farm work all morning. Normal fee is ~200 RMB roundtrip. Day 8: Upper Zimei Village - Zimei Pass (子梅垭口) - Kangding, taxi 6-8hrs: the trip back to Kangding cost us 1,000 RMB (we were 3 people but not sure how much price is influenced by # of people), only cash is accepted, if you are short on cash, ask the driver if you can withdraw in Kangding to pay him. We passed by Zimei Pass on the way and stopped to take photos before getting back on the road. Shop for supplies: head to the local market and buy enough food and cooking utensils for the trip, refer to "Food & Materials" below for quantity (for 3-4 persons) and costs. Remember, too much is always better than not enough as there are no resupply options along the trail! Buy a cannister of oxygen at Kangding to bring with you, its quite light and can come in handy in emergency situations. The only cure for high-altitude sickness is to get to lower altitude!